When we think about our engagement photo shoot, we picture a bright, shiny day in some kind of outdoors-y place. No bride wants to worry about getting her dress wet or dirty, but, what if it rains? For most brides, the main enemy on that day, even more than the nerves, is the rain. If you ask anybody if you want it to rain on your engagement shoot, no one is going to say yes. And the truth is that it is a nuisance. But, while most of the photo shoot can be controlled by the bride and groom, this is beyond our control. It does not matter how much we’ve planned this day, if it has to rain, it’s going to rain. I’ve had to deal with lots of rainy photo shoots as a Pittsburgh wedding photographer, so today I wanted to show you some alternative ideas of a rainy day, where the storm is no impediment to having a beautiful, magical and unforgettable day. Put yourself in the hands of a professional. The most important thing is to put your trust in a photographer who is an expert in this type of situation, since they have the best techniques to get the best out of the rain, with lighting techniques, effects and tricks to make your shots look amazing. Your Pittsburgh engagement photographer should no doubt know how to guide you in the best way! Don’t panic, keep your mood up! Having a positive attitude can be so important in a photo shoot. Smile, own that light and enjoy the rain! 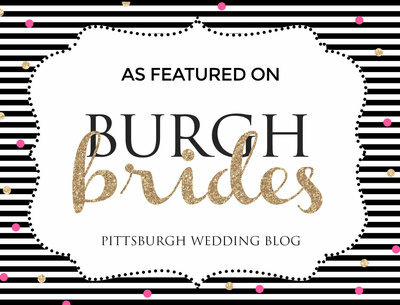 Trust your Pittsburgh wedding photographer, because they know how to take advantage of this special and unique environment. Play around with an umbrellas. Pretty, smooth, white or even see-through umbrellas are totally a trend right now. If you look for them on Amazon, I’m sure you’ll find lots options, plus they’ll ship them quickly for those last minute weather changes. You can always choose to take picture inside while it rains, but if you don’t want to give up photos in an outside place, you will need aesthetically pleasing umbrellas. The truth is that the result is lovely! Using puddles to your advantage is such a good idea especially during a rainy photo shoot! They are so unique because they give you the opportunity to create the well-known mirror effect, which makes your photos the so original and different.